A man working on a construction site in Bolton has died following an accident when he was helping to take down scaffolding. The 42-year-old man, who was employed as a labourer for a scaffolding company, fell 13 metres through a roof of a house when he stepped on a skylight in December 2010. He was taken to hospital following the accident but was later pronounced dead. The scaffolding was erected by the man in October and he returned to dismantle it 2 months later when the accident happened. Liverpool Crown Court heard that there were over 80 fragile roof lights on the building and that the company employed to do the work had not covered the skylights up to prevent employees from stepping on them. 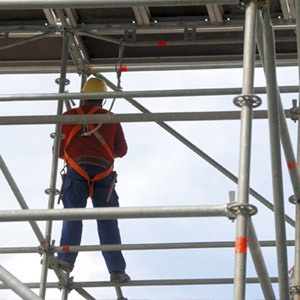 The scaffolding company was fined £75,000 by the Health and Safety Executive for serious health and safety breaches. It pleaded guilty to breaches of the Work at Height Regulations 2005 and the Health and Safety at Work Act 1974. The HSE Inspector said that the company had not done enough to protect the man even though it was a specialist scaffolding company. She said: “It would have been relatively easy to cover the fragile skylights near to where the employees were working to prevent anyone from falling through if they accidentally stepped on one.